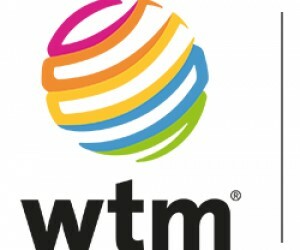 More companies from the media, PR and marketing sector have signed up to be part of WTM London’s exciting new WTM Agency Pavilion. 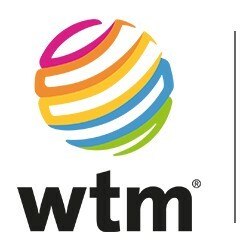 The WTM Agency Pavilion is a first for WTM London – the leading global event for the travel industry. It’s a dedicated area right next to the WTM International Media Centre, where PR and marketing professionals can promote their services. Among the most recent sign-ups are three UK companies and one based in Greece. Representing the UK are interactive digital experience company The Creative Engine, which – among other things – creates e-learning tools; tourism marketing, representation and PR companyMade, which also organises events and travel itineraries. The third is travel magazine Wanderlust, which in recent years has branched out to include awards and accompanied experience journeys among other things. Also booking its place in the WTM Agency Pavilion is hospitality marketing agency TravelworksPublic Relations, based in Greece. The Creative Engine managing director Andrew Candler said: “We have been to the show as visitors, so know from experience that this is the best way to get our travel e-learning products in front of tourism boards and tour companies. “We liked the simplicity of the Agency Pavilion and the fact that every agency’s work will have equal prominence – we know our innovative products will shine. Travelworks CEO Kostas Panagakis said: “For the past five years, Travelworks has been attendingWTM London both on behalf of clients and as a corporate visitor. “The establishment of the new Agency Pavilion for 2018 is the perfect opportunity for the Travelworks team to attend as an exhibitor, with a view to sourcing new business leads and raising the company profile on an international level. “As one of the fastest-growing hospitality marketing agencies in southern Europe, and a market leader in Greece, Travelworks has a unique portfolio of luxury clients in Athens, Mykonos, Santorini, Crete and the Amalfi Coast. Other companies signed up to the WTM Agency Pavilion include UK marketing and representation agency the Brighter Group and film production agency NEEDaFIXER. Pavilion stand holders also get additional pre-, post- and at-show benefits, including access to theMy Invitations and My Event pre-show platforms on the WTM London Exhibitor Portal, as well as targeted emails, social media and PR opportunities such as inclusion in WTM Exhibitor News; theWTM Catalogue and Media Diary of Events. To book, contact the WTM Portfolio Press and PR team (click here for more information).